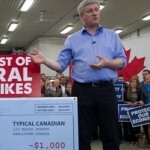 The Liberal Party of Canada won a resounding victory in yesterday’s general election. 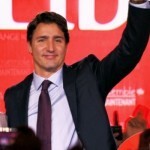 Its youthful leader, Justin Trudeau, is single-handedly reviving Canadian idealism. “We beat fear with hope,” he said during his victory speech. 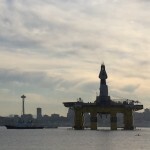 Activists from Seattle hoped to block the departure of an oil rig Shell wants to use for oil drilling in the Arctic. But a small fleet of kayaks proved no match for the giant platform as it set sail for Alaska. “We have made our point well,” a kayaktivist said. Shell sees the deep sea port of Seattle as an ideal base for its fleet to explore for oil the Arctic. But many people in the city on the West Coast are opposed to the company’s plans. 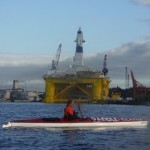 ‘Kayaktivists’ want to stop the impending departure of Shell’s oil rig for Alaska. King Willem-Alexander and Queen Máxima of the Netherlands spent the last day of their three-day state visit to Canada in Toronto. They visited the Ontario legislature at Queen’s Park, met with the Dutch soccer women, and unveiled a special gift on the Toronto Islands. 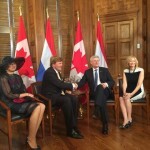 King Willem-Alexander and Queen Máxima of the Netherlands spent the first day of their three-day state visit to Canada in the capital Ottawa. They visited Parliament Hill, laid a wreath at the National War Memorial and spoke with Canadian war veterans. 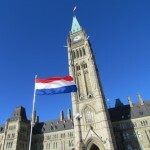 It is often said that Canada and the Netherlands have a special bond. As King Willem-Alexander and Queen Máxima of the Netherlands are on a state visit to Canada this week, that special relationship is celebrated. 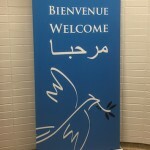 What makes for the close ties between the two countries? 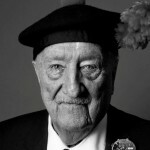 A Canadian war veteran has been reunited with a Dutchman he helped at the end of World War II. 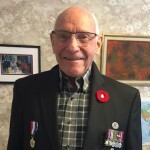 Almost 70 years after fate briefly brought them together in Enschede, the two men met again in Canada. A shared memory of two chocolate bars brought their connection to light.